Deep-frying baked goods presents an unusual challenge not usually found when baking because it leaves the goods soaked in fry oil. 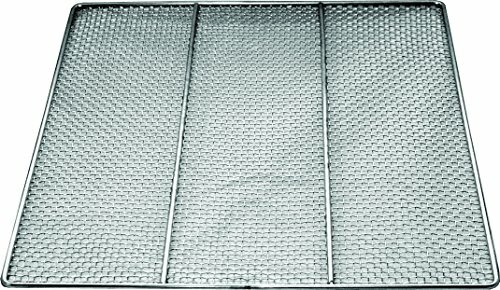 To drain this oil away from your finished products without a lot of hassle with these stainless steel donut screens. These donuts screens work just like cooling racks for other baked goods all while allowing the leftover oil to drip through the screen and away from your doughnuts. It may also be used as a cooling or icing rack for conventional baked goods in a pinch. If you have any questions about this product by EquipmentBlvd, contact us by completing and submitting the form below. If you are looking for a specif part number, please include it with your message.